World Food Day takes place annually on 16 October providing an useful opportunity to reflect on the state of food and nutrition in South Africa. Unfortunately, there is much cause for alarm. South Africa has high levels of hunger and food insecurity. It also presents an extreme example of the ‘double burden’ of malnutrition in which hunger and under-nutrition co-exist with rising obesity and diet-related disease. These twin facets of malnutrition threaten the well-being, life expectancy and even economic productivity of millions of South Africans. They represent a complex societal challenge, which demands appropriate public policy responses. World Food Day coincides with the 1945 founding of the Food and Agricultural Organisation (FAO), an agency of the UN. Historically the focus of the FAO has been on combating hunger, and strengthening food security around the world. Food security, in an often cited definition, is when “all people, at all times, have physical and economic access to sufficient, safe and nutritious food to meet their dietary needs and food preferences for an active and healthy life”. However the challenge of food security has become increasingly complex. Internationally most countries are witnessing rising rates of overweight and obesity, with commensurate increases in diet-related non-communicable diseases such as diabetes, heart disease and various cancers. These non-infectious, chronic, ‘lifestyle’ diseases typically occur in lockstep with economic growth. Changing diets often accompany urbanisation and the growth of industrial food processing and modern supermarket retail. These conditions are long established in South Africa, and are reflected in the fact that more than half the adult population is overweight or obese. Overweight adults are so common in South Africa as to be the statistical norm. The ‘double burden’ of malnutrition sees the above diet-related non-communicable diseases occur alongside widespread hunger and under-nutrition. Endemic under-nutrition results in a quarter of South Africa’s young children being physically stunted, an extraordinary statistic for a middle income country. An even larger proportion of the population suffer from the ‘hidden hunger’ of poor nutrition and micro-nutrient deficiencies. High-inequality South Africa is therefore characterised by under-nutrition and obesity, experiencing as it does the problems of both poverty and plenty. This double burden of malnutrition is reflected in national health statistics, and also evident within low-income communities and even individual households. Obese adults and undernourished children frequently occupy same impoverished (often African) homes. This is no coincidence: emerging clinical evidence is beginning to demonstrate how childhood malnutrition predisposes adults to obesity later in life. Under-nutrition and obesity are therefore flip sides of the same phenomena of malnutrition. Given this problem what are appropriate policy responses to this public health, and development problem? The first step is to avoid the default assumption that consumers simply need to make wiser food choices (or be educated to do so). The modern ‘food system’ – extending from agricultural production to food processing, distribution and retail – is patterned by the transnational corporations and market imperatives that dominate it. 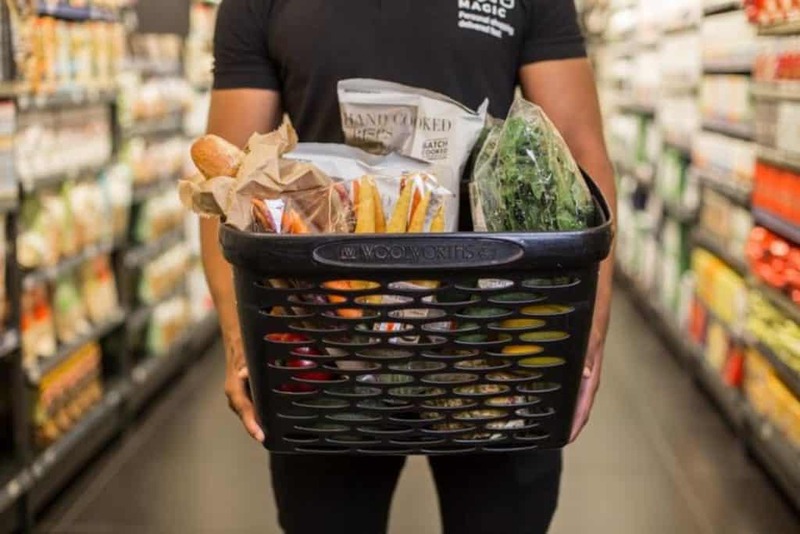 For many South Africans, ostensibly ‘individual’ food choices are made in the difficult space between affordability and availability on one hand, and the vast corporate resources devoted to enhancing product palatability, marketing and advertising on the other. So while there doubtlessly is room for engagement with South Africa’s corporate-dominated food system, there is an equally important role for the state. But here the problem is twofold. Firstly, the South African government has largely abrogated responsibility for the regulation of the food system. Increasingly it is commercial interests, standards and institutions that govern our food system. Secondly, food and nutritional policy is inherently complex, often contested and invariably straddles a number of sectors and includes a range of actors. The challenge of formulating public policy for healthy food and diets is the focus of the remainder of this article. Addressing and reversing South Africa’s burden of malnutrition is too important to be left to industry lobbyists, and short-term corporate interests. Unfortunately, the State’s recent attempts to promote healthy food and diets has revealed policy gaps, mismatches and incoherence. Efforts to promote healthy foods are often viewed as working against the imperatives of economic growth and job creation. For instance, the contestation over the recent implementation of South Africa’s Health Promotion Levy (‘Sugar Tax’) on soft drinks, included lobbying from affected industries and warnings of imminent job losses. Efforts to respond to the challenge of malnutrition should also not be limited to the Department of Health. Instead, making healthier foods more accessible and affordable needs to be on the agenda of a wide range of policy makers, including those tasked with regulating the economic sectors that touch on aspects of food supply. These range from departments of Agriculture, Trade and Industry, to officials tasked with macroeconomic policy and finance. These efforts at policy change should include identifying instances of policy incoherence and contradictions between nutritional goals, and the prevailing food system imperatives, incentives and regulations. Ultimately, food and nutritional security for all South Africans is too important a national imperative to ignore. Does African agriculture need a Green Revolution?